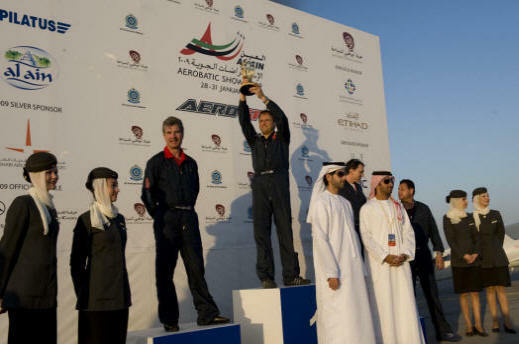 Mark has flown in the Al Ain Aerobatic air show taking part in the JK cup and the Aero GP series over the years. Al Ain is a fertile oasis city located approximately 160 kilometres east of the Abu Dhabi capital. Its name (“the spring” in Arabic) derives from its originally plentiful supply of fresh water, which makes its way underground across most of the plain lying before the Omani mountains – The Abu Dhabi tourist authority (ADTA) stage the show annual in the January sun, typically 24’c. Well worth a visit.